Bigg Boss Hindi- the biggest reality TV show in India has entered its 11th season. 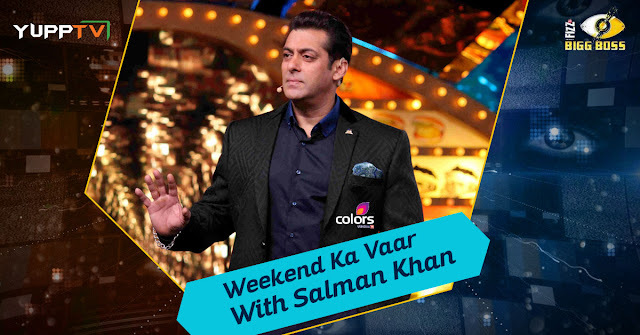 Salman is hosting this season for the seventh time. The show has been a massive success and had garnered enough attention from entire India to start its versions in different languages like Tamil, Telugu, Kannada, etc. Though there are many factors, Salman Khan is the biggest attraction for the show. Many people have started watching the show just because Salman Bhai is hosting it. This show is, for the first time, showing the extra dose on MTV India also. 14 contestants take part in this show, the modus operandi of which is known to everyone by now. The contestants will slowly be evicted from the shows depending upon the audience votes and new contestants will enter as wild card entries. The first 14 contestants to enter the show are Akash Anil Dadlani- A Rapper, Arshi Khan- A Video Content Creator, Bandgi Kalra- Model, Benafsha Soonawalla- VJ and model, Hina Khan- TV Actress, Hiten Tejwani- TV Actor, Jyoti Kumari- Student, Priyank Sharma- A Dancer, Model, Reality TV Star, Puneesh Sharma, Shilpa Shinde- TV Actress, Sapna Choudhary- Stage Performer, Haryanavi Singer and Dancer, Sshivani- Godwoman, Vikas Gupta- TV Show Producer, Zubair Khan. As it has been 3 weeks since the show has started some of the contestants have already been evicted and new contestants have entered. Of the newest contestants, Dhinchak Pooja who had been an internet sensation in the recent times had entered the show which made the show more interesting. The show delivered more attractions when it brought other celebrities into the house to spend time with the contestants. Celebrities like Varun Dhawan, Jacqueline Fernandez, and Tapsee Pannu have come to the show on the premiere day. The team of Golmaal Again which constituted of Rohit Shetty, Ajay Devgan, Parineeti Chopra, Tabu, Tusshar Kapoor, Shreyas Talpade, and Kunal Khemu have graced with their presence on another day. The show is at its heights of popularity at the present and has topped the TRP ratings beating Akshay Kumar’s The Great Indian Laughter Challenge and Sony TV’s Super Dancers Chapter 2. Bigg Boss 11, India’s biggest reality show is currently airing on Colors TV Online.